In about 4 years ago, the Nissan Sylphy was introduced in the Malaysia market. For 2012, Edaran Tan Chong Motor revised the Nissan Sylphy with updates and upgrades that enhance its exterior styling and features. Now, the 2012 Nissan Sylphy is available in two variants – 2.0XL and 2.0XV. 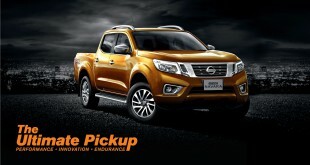 “Nissan does not allow its models to become stale or boring and constantly provides upgrades to keep them fresh. 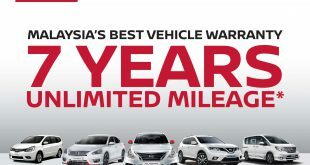 We are confident that the new 2012 Nissan SYLPHY will win over more Malaysians, especially young executives who are looking for a refined sedan with the best value for money,” said Dato’ Dr Ang Bon Beng, the Executive Director of Edaran Tan Chong Motor (ETCM). The 2012 Nissan Sylphy now come with new front and rear bumpers, a new chrome grille, revised front and tail-lamps. In addition, the Nissan Sylphy come with five distinctive colour choices – Bronze Gold, Tungsten Silver, Sapphire Black, Twilight Grey and Brilliant White. The engine remained the same all-aluminium MR20DE 2.0-litre 4-cylinder DOHC 16-valve engine with Drive-by-Wire technology. With ECCS, electronic fuel injection system and continuously variable valve timing control (CVTC). The 2.0-litre engine is pumping 133ps of power and 191Nm of torque yet fuel efficient. 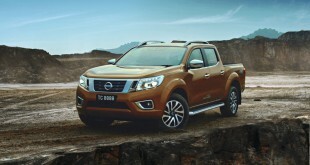 The engine is mated with Nissan’s 3rd Generation Xtronic Continuously Variable Transmission (X-CVT). This combination results in superb fuel economy with refined yet powerful acceleration. Both versions, which have a black interior theme with fine cherry wood trim, come with a new silver-ringed combi-meter design incorporating a Multi-Information Display; and a new audio system head-unit with MP3 and Auxiliary input. Part of the upgrades, the door mirrors are now foldable with touch of a button and auto-climate air-conditioning system come with temperature display. Sadly, the rear brake still remained drum, which we think this lightly bothered some potential owners. The Sylphy 2.0XV comes with 16-inch 7-spoke alloy wheels, intelligent key (i-Key) keyless entry and engine-start system, leather steering wheel with audio controls and bi-xenon projector headlamps with an Active Front-lighting System (AFS). On the safety aspect, the 2012 Nissan Sylphy comes equipped with dual front SRS airbags, front seatbelt pre-tensioners, front seat Active Head Restraints and Zone Body construction with front and rear crushable zones. An auto-light system mode will automatically switch on the headlights when lighting conditions become dim (similar to Toyota Harrier, Estima or even Honda Insight). The 2012 Nissan Sylphy is available with an on-the-road price of RM114,880.00 for the 2.0XL and RM124,880.00 for the 2.0XV. 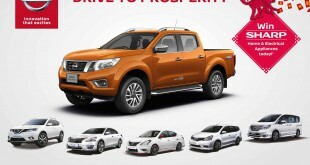 The prices are inclusive of insurance, road tax, registration fee and ownership claim fee in Peninsular Malaysia. For a limited period, all purchasers will also get an aerokit free of charge with each new Sylphy. ETCM is currently offering a 3-year or 100,000km warranty (whichever comes first) and low interest hire purchase rates starting from 2.50% per annum, subject to terms and conditions.